Mr. Sim Sem is the Committee Chief of the Derm Doung community forest management in Derm Doung Commune, Angkor Chey district at the Kampot province. He greets us with a smile and thanks us profusely as he says that he now knows how to mould bamboo and rattan and transform them into chairs and tables and wardrobes and thanks to the Bamboo and Rattan project by WWF- Cambodia. Initially, Sem’s wife was not very enthusiastic about her husband joining this project – Rattan and Bamboo innovation training. She thought it was a standard programme, that did not have any significant benefits. However, Sem insisted he’d join the training so at least he could help build furniture for the house. As he recollected this, Sem’s wife joined the conversation. Amused by her previous train of thought, she admits to having been wrong. 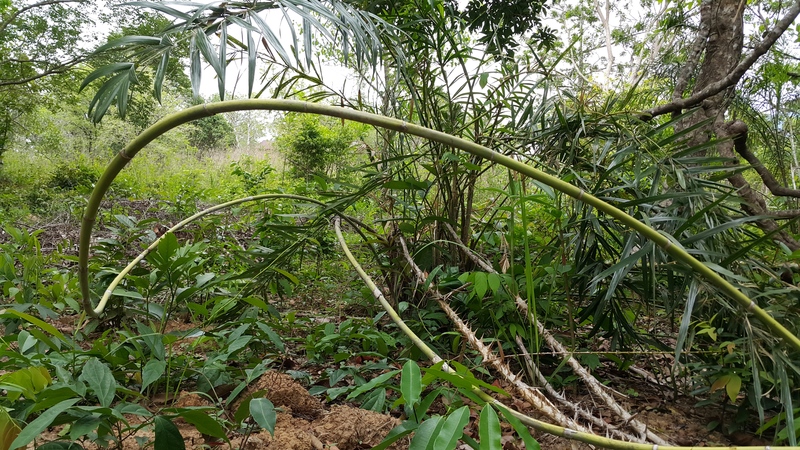 “Rattan makes a crucial contribution to local livelihoods, and rattan canes are vitally important to farmers as they provide extra income in addition to normal agricultural activities” she added. The Derm Doung community forest is located in Morom mountain areas where 6 established communities-based forest are currently being restored. This includes their natural resources such as forests, bamboo, and rattan. 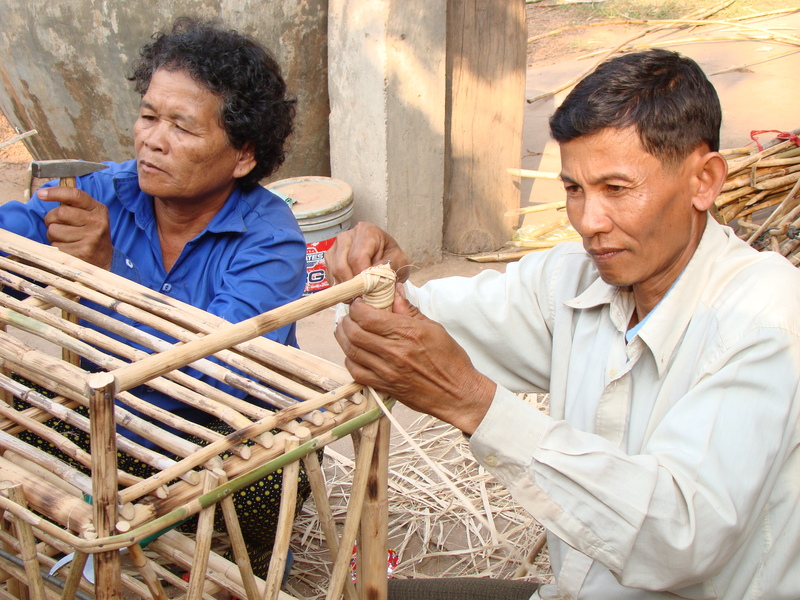 The knowledge of how to innovatively use Bamboo and Rattan wasn’t widespread in these communities. These communities depended on activities that they now realize is unsustainable as the rates of deforestation and afforestation have a stark disparity. WWF-Cambodia has worked with this community and provided them with various trainings and technical support aiming to set up a community based model approach that promotes sustainable management and use of rattan resources, so that the entire forest ecosystem where rattan grows is conserved. 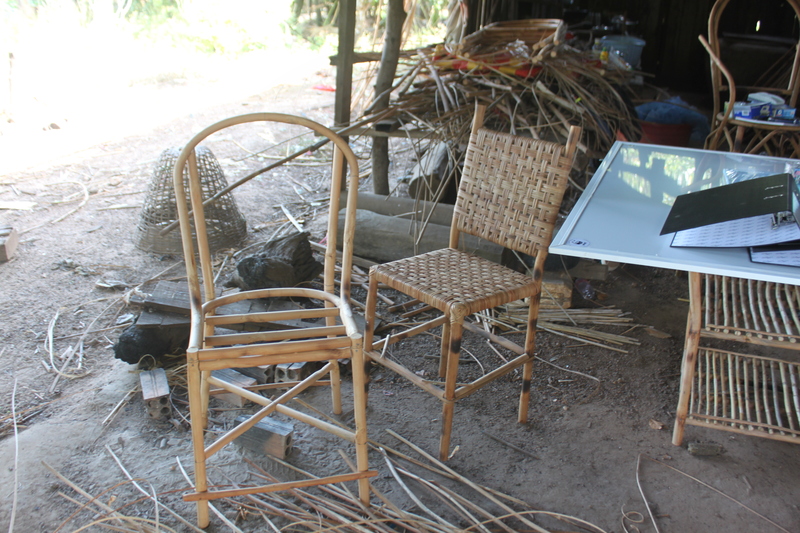 Mr. Sim Sem says that he now knows how to mould bamboo and rattan and transform them into chairs and tables and wardrobes and thanks to the Bamboo and Rattan project by WWF- Cambodia.